In her five decades as a nurse, Judy Huntington has worked as a staff nurse, nurse manager, policy advocate, educator and union leader. She has shaped national and state health policy, led effective coalitions and built the Washington State Nurses Association into a vibrant, powerful voice for nurses. On so many levels, Huntington has had a lasting impact on the profession of nursing and the work lives of nurses. Huntington served as Executive Director of the Washington State Nurses Association for nearly 19 years. During that time, she built the organization’s finances, more than doubled membership and presided over remarkable policy and contract gains for nurses in Washington state. During her tenure, WSNA’s advocacy efforts on behalf of nurses and patients were remarkably successful, with numerous new laws and rules enacted to protect nurses and ensure patient safety. WSNA is the leading voice and advocate for registered nurse in Washington state thanks largely to Huntington’s leadership. But Huntington’s influence on the nursing profession and health care policy started long before her time as WSNA’s Executive Director and goes far beyond Washington state. From local unit leadership at Seattle Children’s Hospital to leading health reform efforts at the American Nurses Association in Washington, D.C., Huntington has been a fierce advocate for nurses and patients throughout her career. Even before her graduation from the University of Washington School of Nursing in 1968, Huntington threw herself into union work. When she was working as a student nurse at Seattle Children’s Hospital the summer after her junior year, she signed on to the mass resignation in 1967, joining the staff nurses in their fight for a fair contract. Huntington went on to work at Seattle Children’s for 13 years, as a staff nurse, head nurse and supervisor. In 1971, Huntington served as chair of the Seattle Area Hospital Council nurses negotiating team. By that time, nurses were legally allowed to strike, and after a packed meeting where Huntington urged them to do so, nurses voted to go out on strike. The Seattle Area Hospitals settled less than three hours before the strike was set to begin. Huntington served in a variety of leadership roles at the local, state and national levels of WSNA, the ANA and the National Federation of Nurses, including President of WSNA from 1979 to 1983. 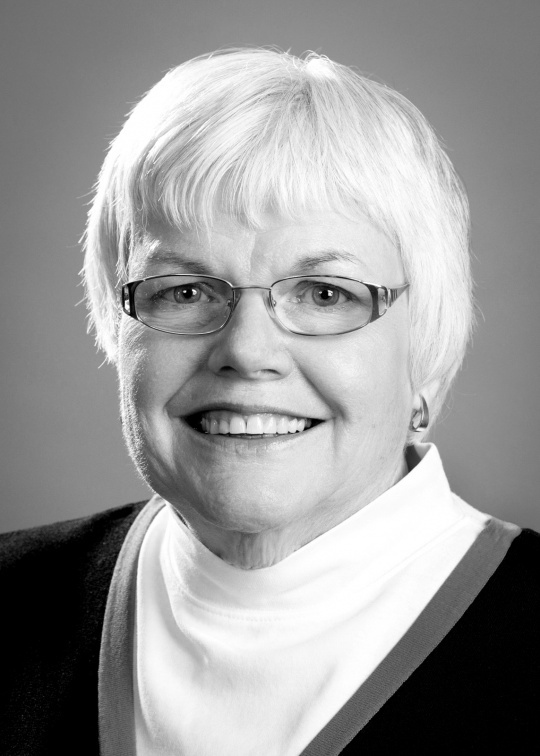 She is also a founding member of the Washington State Nurses Foundation and the WSNA Political Action Committee, serving as Chair from 1974 to 1976. For more than a year, from May 1983 through August 1984, Huntington was called upon to serve as WSNA’s Interim Executive Director. It was a fairly short interim, but it was long enough for Huntington to file WSNA’s first lawsuit after she learned that Seattle Area Hospitals had agreed to limit wage increases in all of their contracts. Huntington earned her Master of Nursing degree from the University of Washington in 1985. While in graduate school, she worked part-time at St Cabrini Hospital, where she later worked for three years as director of hospital strategic planning. Throughout her career, Huntington has been active in public policy and political action. In 1983, she was among the founding members of the Washington State Committee for Affordable Health Care, a coalition of leaders in health care, business and public policy responsible for crafting and successfully lobbying for passage of the Washington State Basic Health Plan. Huntington went on to direct the ANA Department of Field Services and the Center for Labor Relations and Workplace Advocacy and to direct the Office of Strategic Planning, where she was responsible for overall association strategic planning, program development and for development of the award-winning ANA Website, NursingWorld.org. In 1999, Huntington returned to Washington state as Executive Director of WSNA. She also served as Executive Director of the Washington State Nurses Foundation, Vice-President of the Washington Center for Nursing, member of the Executive Board of Directors of the Washington Health Foundation and a Vice President on the Executive Board of the Washington State Labor Council. Huntington also was a leader in bringing together nurse educators, nurse executives and nursing unions to form the Washington Center for Nursing, which is charged with developing a comprehensive solution to address nursing workforce issues, including the nurse shortage and diversity in the profession. Over the years Huntington has served as adjunct faculty at several universities. In December of 1998, Judy was awarded an Honorary Doctor of Science degree from Kent State University for her work in health policy and advancing distance learning through electronic communications and development of the Online Journal of Issues in Nursing (OJIN), an international, peer-reviewed nursing journal jointly sponsored by Kent State University and the ANA. Huntington’s numerous awards and honors include University of Washington School of Nursing Distinguished Alumni award in 2008, the Mary Mahoney Professional Nurses Organization Anne Foy Baker Award in 2015, the ANA Distinguished Membership Award in 2016 and the King County Nurses Association Shining Star Award in 2017. Huntington’s impact on WSNA, on ANA and on the nursing profession has been incredible and indelible.